Light pink and Gold swirl Christmas tree. 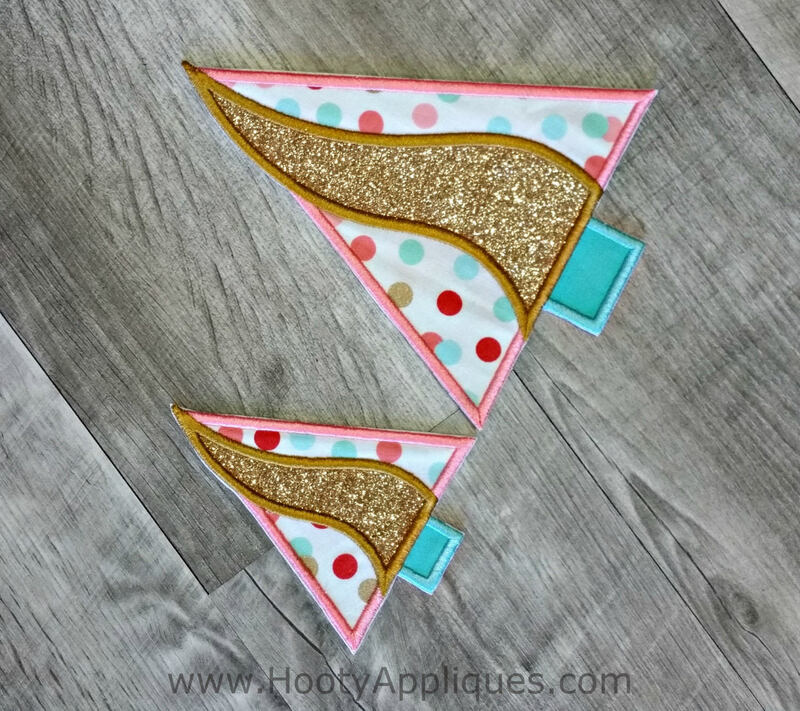 It is accented with coral and teal dots. Such a beautiful color palette. 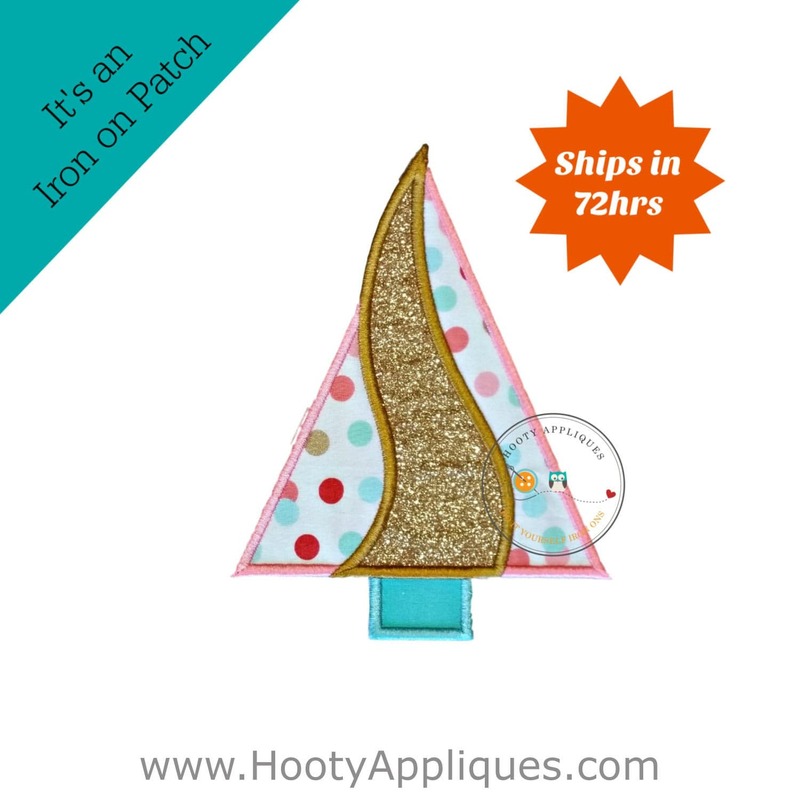 This is a great no-sew patch for kids clothing or use it to make a cute Christmas stocking. 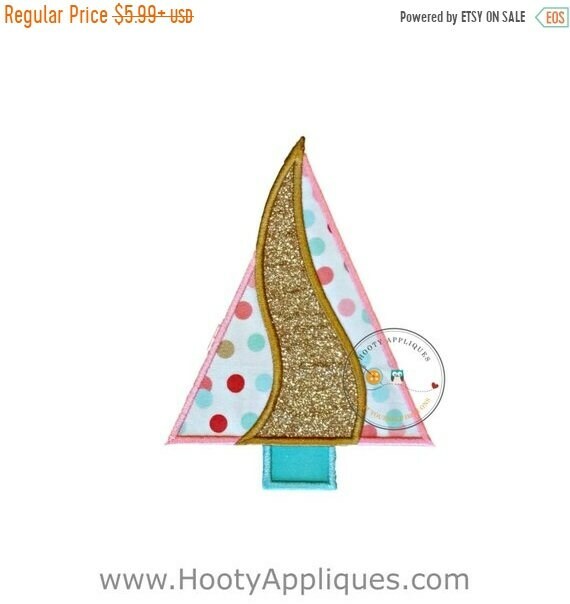 * Large applique measures 7.5 inches tall by 5.75 inches wide. * Small applique measures 5 inches tall by 3.75 inches wide.